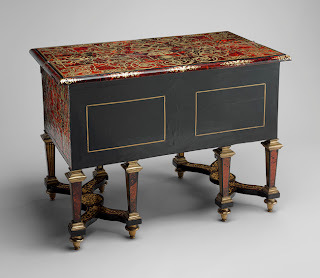 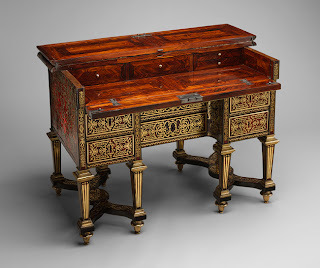 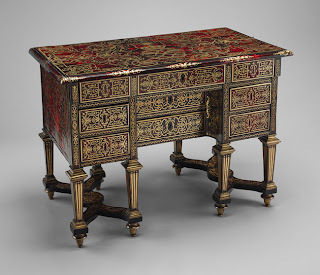 This Antique French Writing Desk Louis XIV Style , with a folding top that opens to reveal a small writing surface, is one of the few surviving pieces commissioned for Louis XIV's personal use. 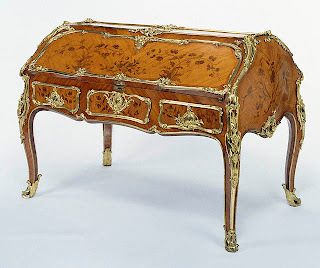 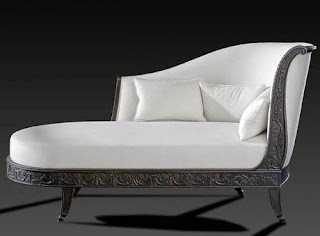 It was one of a pair intended for the king's petit cabinet, a small private room in the north wing of Versailles. 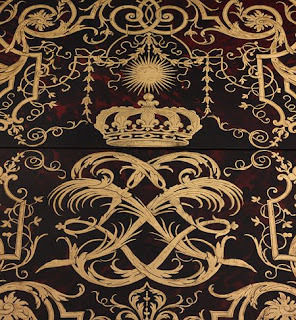 The decoration on the top incorporates such royal symbols as the crown, the crossed L monogram, and the mask of Apollo, the sun god to whom Louis XIV likened himself. 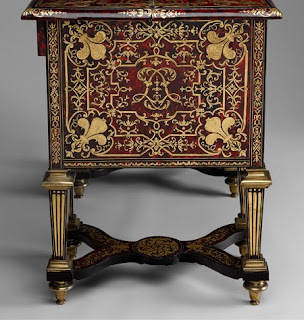 The four corners display openwork fleurs-de-lis, symbolizing the French monarchy, with lyres, the musical instrument of Apollo, between them.